Following a 28-day “blackout,” during which no America’s Cup Class boats could be sailed, ORACLE Team USA has launched the 50ft foiling catamaran aboard which it hopes to defend the “Auld Mug” starting in May. 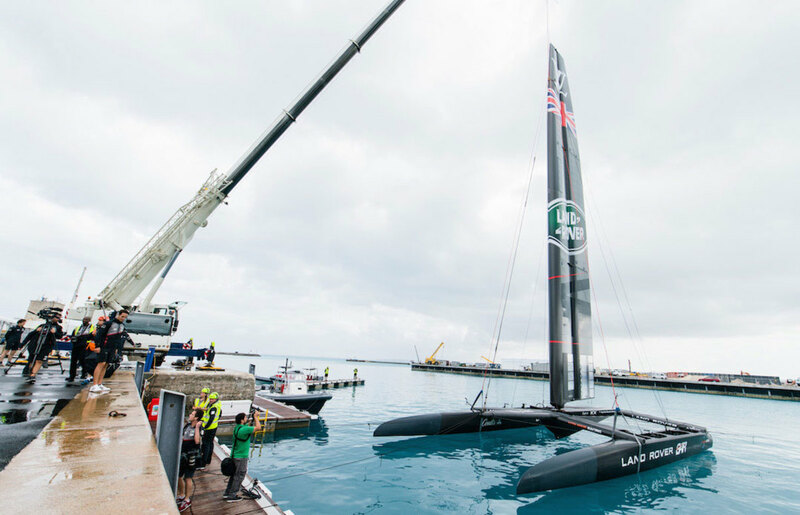 The event comes hot on the heels of the British-flagged Land Rover BAR launch of its AC50 last week. 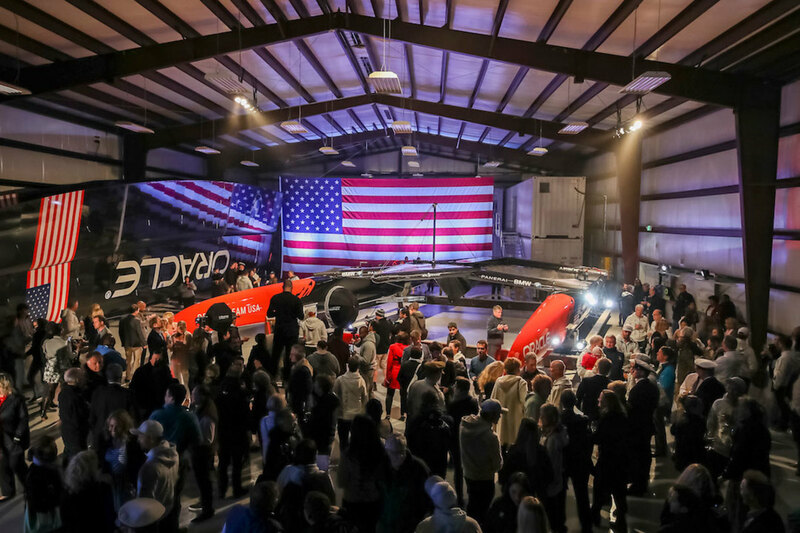 “This is the boat we’re racing to win the America’s Cup,” said skipper Jimmy Spithill, addressing a crowd of family, sponsors and local dignitaries with “17,” as the boat has been designated. Starting this week, ORACLE Team USA will begin testing and practicing with the boat, a process that will inevitable result various tweaks any maybe even some major changes, depending on how things shake out. Over 15 designers and 50 boat-builders contributed to the design and build of “17,” with more than 85,000 man-hours accumulated to date. Team partners like Airbus, BMW, Parker and Yanmar have provided technical expertise and support.